“This past weekend, we had another one of our workshop/concert events involving 20 musicians from all over, along with a Scottish instructor and another instructor from Vermont. The majority of these folks stayed at the Best Western Cotton Tree Inn for 2 nights, probably generating between 30-40 hotel room stays in our community. The concert was a sellout – 150 people coming to listen to Fred Morrison perform, and the event was webcast on the net, thanks to the video equipment and technological capabilities of the facility. We’ve not done many broadcasts as the video production costs are expensive, but the comments that typically come back say things like “best webcast and sound I’ve ever heard for something like this.” In a word, folks simply love the facility, and rave about it. Our Vermont instructor especially heaped praise upon praise about the building – at one point saying in almost an exasperating way: “you thought of everything!” My reputation for throwing people under the bus (and backing up a few times as needed) notwithstanding, I was very quick to point out the importance our design team and contractor played in the development and usability of our space and place. 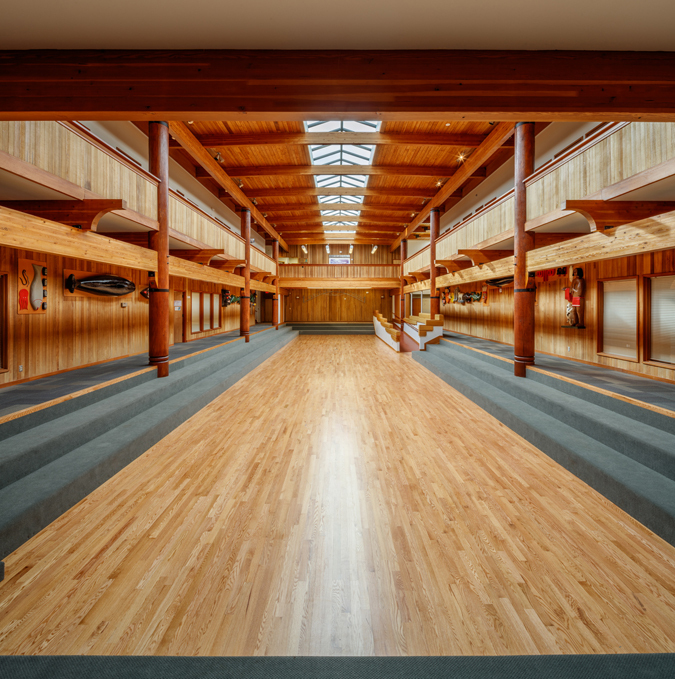 We’re doing our best to take care of things, have volunteer work parties and the like, but after a couple of years now of putting the building through its paces – it’s just working marvelously! The acoustics (with or without sound reinforcement) are superb, the space is comfortable and the HVAC system “right-sized” for the space. People rave about the chairs and tables and the overall comfort and usability of the building, and the kitchen has performed terrifically as well. We still regularly get drop by visitors on a weekly basis, and folks just really seem to want more and more of what we’re able to offer. By year’s end, we’ll have had around 3000 people cross the threshold for something we’re offering at the Celtic Center, and of course I think that’s pretty cool! I wanted to interrupt your regular flow of unending demands from unreasonable clients (like us!) and the pace at which we all race through life, and let you know just how marvelous your project for us turned out, and to say thank you for helping us realize our dream to create a space and place for celebration. I’m hopeful we’ll have the chance to work together again soon—you just never know! Congratulations! A good design is a pleasure to build. Pottle & Sons Construction, Inc. The building is beautiful. I think you all did (and are doing, since the exit/elevator work continues) a great job of carrying out, designing/administering and shepherding the repair and remodel process. …the transformation is stunning. In my experience HKP is unique, in that the team you see in the interview is the team you see consistently throughout the project. The Project Architect and the Partner in Charge attend and contribute to each meeting, from the start of the project through nal completion. HKP also does an excellent job of listening to the client and integrating the client’s needs into the design while keeping a close watch on budget and long term building maintainability. In my dealings with HKP sta, I have found them to be highly competent and professional, skilled in distilling the needs of the Tribe and in translating those needs into useful and serviceable facilities. They maintain a high level of quality and responsiveness in their work and great attention to detail, which has resulted in numerous products of great value to the Tribe. I would give my high recommendation for them to anyone seeking skilled and highly qualied archi- tectural services. HKP Architects seem to ourish with adversity! I admire your thorough advanced preparation and your ability to re- solve spontaneous situations that occur. Your rm knows how to be responsive to the Owner’s needs and stay focused on the prize. That focus has allowed you to develop comprehensive Campus Master plans that have been built out to transform the face a number of State and Educational facilities. Many Architectural rms have the credentials to design complex projects. Fewer can succeed at both innovative design and construction administration. Only a small number can repeatedly do this for years on end for the same client. HKP Architects is in this select category. I enthusiastically recommend HKP Architects to any prospective client desiring quality work, thoughtful attention to detail and a com- mitment to success each step of the way! 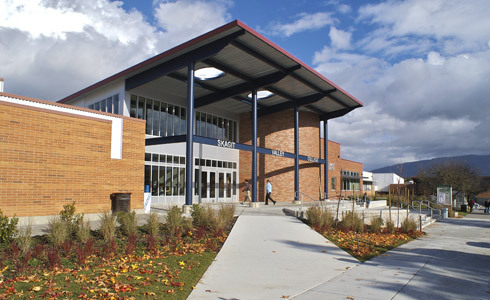 HKP has consistently been a reliable provider of quality projects at Skagit Valley College while understanding limited budgets as well as addressing the pressures of design and construction in busy campus settings. 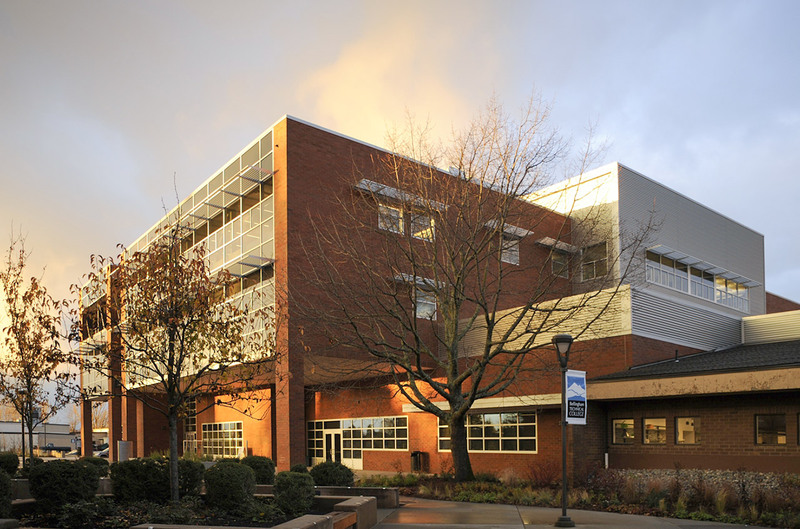 They have provided projects consistent with the SVC vision for their campus community and their approach to programming and design services has been focused and organized. We used HKP architects for a total remodel of a mid-century house we purchased. It was important for us to keep the integrity of the original home, but update it to t our needs and lifestyle. HKP did an excellent job of designing the re- model – providing structural expertise, incorporating our ideas, presenting options in the design and the reuse of orig- inal materials, suggesting new materials and nishes, and helping us visualize the completed project; and of managing the remodel – managing the contractor, monitoring the budget and timeline, and providing documentation on all deci- sions. HKP’s experience with ways to make our home more energy ecient was also very important to us. The partner and associate who worked directly on our project were so wonderful to work with – professional, knowledgeable, imag- inative, detailed, and delightful. We wouldn’t have the “new-old” home we love without them. 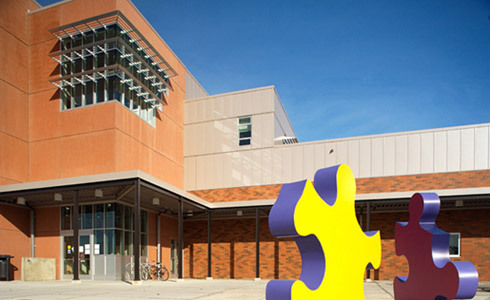 HKP Architects have now taken two blank slates and transformed them into magical spaces at the Children’s Museum of Skagit County locations. Their vision for design and components led us to create and enhance the exhibit designs into a vibrant spaces, utilizing the available square footage to optimal use and value. 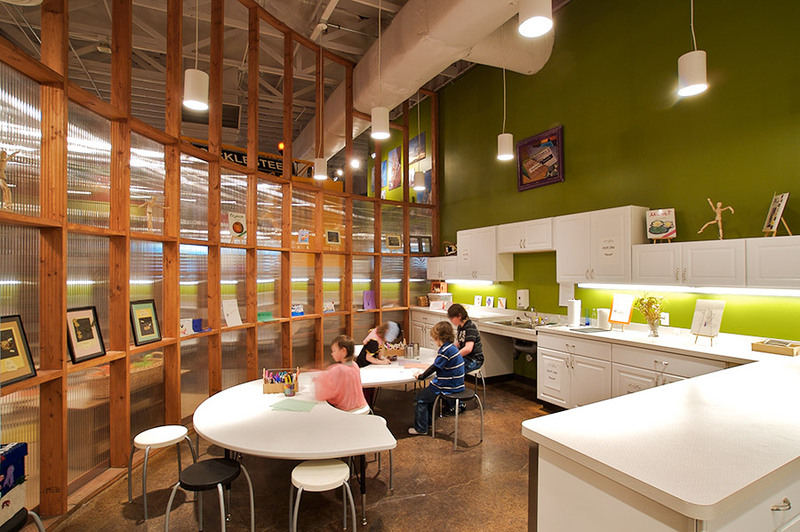 They also provided excellent attention and guidance throughout the planning and build-out phases at both locations. Thank you, Julie. Seems like a lot of time since working on the sustainable ag building at evergreen! But I’m so grateful for that experience – it really was the source of much of the inspiration that got me into architecture school, through architecture school, and now nally employed! So thank you, for putting up with all of us Evergreeners! I don’t think I have worked with a more dedicated group of architects. It was my pleasure to have worked with you.